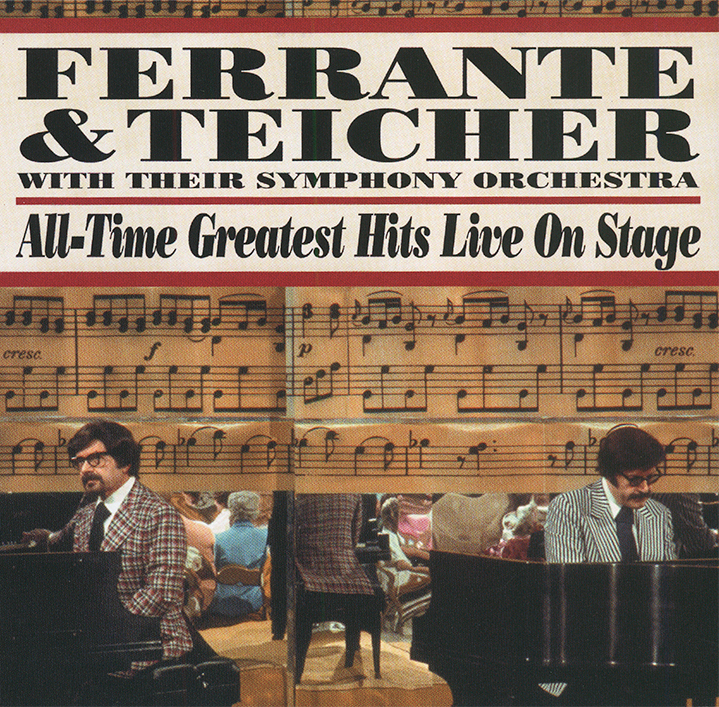 FERRANTE & TEICHER released their first album more than 50 years ago! During those years, we’ve listened to their solo works, prepared-piano works and dozens of hours of their “hit” recording sound with their studio orchestra — some 178 albums in all. This historic collection was culled from Ferrante & Teicher’s personal vault of “live” performances. Their concert appearances were not mere concerts… they were events! The repertoire chosen is not limited to Art & Lou’s favorites, but also selections most frequently requested by their fans! As always, Ferrante & Teicher treat us to a surprise concert ending! Those fortunate enough to have witnessed these encore antics will be left clamoring for more!! This CD gives us a chance to relive these magical moments in the brilliant careers of Art Ferrante & Lou Teicher.